While a number of HIT-related patient safety issues can be traced to system usability, network stability, and end-user competence with the application in question, few are attributable to traditional software “bugs,” according to Marc Probst and Paul Egerman, HIT Policy Committee Members and co-chairs of a special hearing on such issues. “It’s amazing what end users can do to a system to make it not work,” said Probst at the full committee’s March 17 meeting. Regarding how software vendors handled reports of bugs, Probst said there was significant inconsistency — some vendors were quite responsive and others less so. 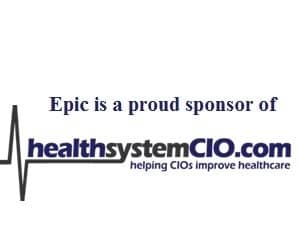 “The majority of issues we deal with (at Intermountain Healthcare), are local issues around local conditions and the configuration of the systems themselves,” said Probst, who serves as CIO of that organization. The solution? Egerman suggested creating an FAA-like atmosphere of continuous learning and process improvement, fostered by a (within reason) no blame or immunity approach. He suggested providers be encouraged to report “near-misses,” hoping there would be less fear of reprisals if no harm was ultimately done. While the FAA model seemed to be embraced by the committee, the FDA model didn’t receive such enthusiastic support. Michael Klag — Dean, Johns Hopkins University, Bloomberg School of Public Health — said the FDA focused on finding individuals who make errors, something which would not create the learning environment Egerman was supporting. If — as Probst, Egerman and Calman argued — HIT safety is largely dependent on solid technology infrastructure and sound end-user training, what does that say for the HITECH program’s chances of success? Probst offered an anecdote that cautioned an over-ambitious approach.